This issue of Canon Fodder was originally published within the 9-24-14 edition of the Halo Bulletin. Greetings! It's an incredibly thrilling time for Halo fans, as we find ourselves all at once looking back on the franchise’s incredibly rich history, and simultaneously looking forward to its exciting and enigmatic future. Halo: The Master Chief Collection is right around the corner, and with it will come the opportunity for a new generation to experience the foundation of the franchise. Not only will players be able to relive the evolution of the gameplay experience, but it's also a chance for us to revisit the roots of Halo's deep and dynamic lore. Characters like the Arbiter, Sergeant Johnson, Tartarus, and more will once again be taking center stage in glorious high-definition, while also paving the way for Halo's future. We wanted to take advantage of this opportunity to reflect specifically on the fiction, from the fifty-thousand foot view to the far-reaching corners. The Halo story can be found on many fronts. It is all at once an epic space opera, but also a boots-on-the-ground character experience, and we want to continue to make the galaxy more accessible to fresh faces while rewarding the investment of fervent fans. In this vein, I'll be taking a look at various corners of the universe; some paths well-trodden, others much less known. In the coming weeks we'll be taking a look at the story surrounding the events contained in Halo: The Master Chief Collection, helping set the stage for folks new to the fray as well as exploring some deeper elements that long-time players will certainly find... intriguing. To start things off, enjoy the Q&A first presented in the 9-24-14 Halo Bulletin, as framed by our beloved Bravo! Thanks, Grim! I know I speak for many readers when I say that we’re looking forward to digging into Halo’s fiction and fantasy over the next few weeks as we approach the launch of The Master Chief Collection (and, if I have my way, beyond as well). As promised, I took many of your fiction questions from the past as well as last week, and sent them over to Grim and the Franchise team. Over the past few days, they’ve debated, consulted archived documents and UNSC records, and then (and only then) answered several of your questions in great detail. Read on for more fiction goodness. Question: What happened to the Huragok from First Strike and Vergil from Halo 3: ODST? Answer: Quick to Adjust (“Vergil”) was “interrogated” by ONI for information related to what is now referred to as the Excession at Voi, but were unable to acquire any actionable intelligence before the High Prophet of Truth arrived with the Forerunner Keyship. The Huragok recovered aboard the Gettysburg met a variety of fates in the waning days of the War; the survivors were put to work on the Infinity project and at high-priority Forerunner research sites such as Trevelyan. Q: Why do the Jackals in Halo 4 look reptilian rather than avian like in previous installments? A: All of the species found within the Halo universe - even humans - show a degree of phenotypic variation, with a variety of visually distinctive populations. The visual differences of species like the Unggoy, Kig-Yar, Sangheili, or Jiralhanae that you see throughout various Halo games showcase that variety, provide a larger canvas for our amazing artists to work on, and help differentiate their roles within the Halo sandbox. Though they look more saurian than their cousins, the Ibie’shan Jackals (Halo 4) exist conterminously with the Ruuhtian Jackals (“classic”), and T’vaoan Skirmishers (Halo: Reach) as related subspecies. You will see both the Ruuhtian and Ibie’shan Jackals in Halo: The Master Chief Collection. 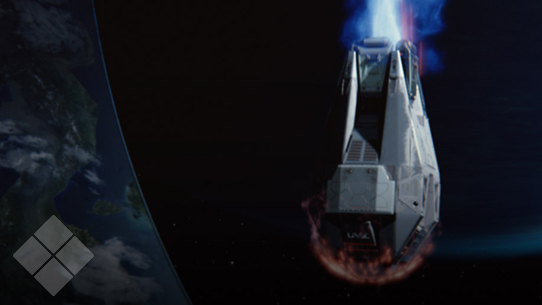 Q: What were the unknown UNSC ships in Midnight? A: The vessels seen in Midnight are the Poseidon-class light carrier, Vindication-class battleship, and Strident-class frigate. Q: How was High charity able to get to the Ark in a timely manner? The only way it could have done so was the Voi Portal, but High Charity was much bigger than that portal. So how was it able to do this? If it went through Voi, why did the Gravemind not throw down billions upon billions of flood forms on earth while it was there? A: The Flood-infested High Charity never entered Earth’s atmosphere, and did not transit the Portal at Voi. However, the Gravemind did become aware of Earth’s Portal - and thus the danger that the Lesser Ark still posed to his plans - as soon as he arrived in the Sol system. His modifications to High Charity were far-reaching, both to keep the facility functioning after the departure of the Keyship, and to better serve as a mobile plagueship from which he could sing victory everlasting in a galaxy consumed of thinking life. But even with an intellect impossibly vast and deep, able to twist the technologies of the Covenant far beyond their original functionality by application of esoteric Precursor science, the ancient abomination was unable to both conduct a desperate bridging maneuver to the Ark and maintain the structural integrity of High Charity after its arrival. A: The Longsword and Falcon remain in active UNSC service with the Navy/Air Force and Army, respectively. Without the exigencies of the Covenant War requiring every combat-worthy airframe be pressed into service, the remaining Shortsword inventory was either transferred to UNSC Air Force reserve units or scrapped, depending on their condition. The Sabre was an experimental aerospace fighter and never saw mass production, though it remains in service at ONI facilities in the Sol system (and elsewhere, unofficially); it’s enduring legacy can be seen in the upgrade packages fitted to the contemporary Broadsword strike fighters and Longsword interceptors. The Vulture had largely disappeared from UNSC inventories due to irreplaceable combat losses by 2545, but Materials Group is currently evaluating the possibility of restarting production (albeit with the benefit of improved materials and incorporation of new technologies). Note that even within the timeframe of the Covenant War some vehicle saw less prevalent use than others depending on the peculiarities of the battlespace, logistical realities, and availability of qualified operating personnel. Q: 10 years ago, we were faced fighting a Covenant armada who just found Earth. On November 11, we get to revisit that siege and course of events in Halo 2. To my knowledge, Halo fiction has never said how the Covenant found Earth (even though it was by accident). Will we ever get an explanation in fiction or could we get the answer now? A: Two elements of the Covenant learned of Earth’s location separately. One was the High Prophet of Truth, who was amassing a sizable invasion force at Unyielding Hierophant. The other was the High Prophet of Regret, leading his personal relic-hunting fleet from aboard the Solemn Penance. We will soon be answering how one of these elements learned the location of Earth. Q: What exactly is MJOLNIR GEN2's power system? We have clear answers for that question for Mark IV through Mark VI and some plausible data about the last GEN1 project, Mark VII but GEN2 is just kind of…there. Specifically, what kind (Fusion, Plasma-Fusion Hybrid, something Forerunner?) and where are the power supplies located? The chest pieces have sometimes seemed vague on this. They appear to have a dual reactor set on the back but some sets, Venator in particular, seem a bit impossible that this is the case with how tiny the 'packs' are. A: All Mjolnir GEN2 suits use a compact fusion reactor installed in the back of their torso carapace. Note that illustrations in the Halo 4: The Essential Visual Guide are simplified for purposes of clear presentation, and should not be considered prescriptive. Q: Does the Sharquoi still exist in the Halo Universe or is its mention in the Conversations of the Universe now considered nothing more than a left over from earlier plans? If it is still canon, what is its role and can you give us any details on the creature’s behavior and/or origins? A: They still exist, though we cannot yet disclose specifics. Q: What's the deal with Ralph-303's unusually high service number? A: This anomalous service number was adjusted to Ralph-103 in our records. 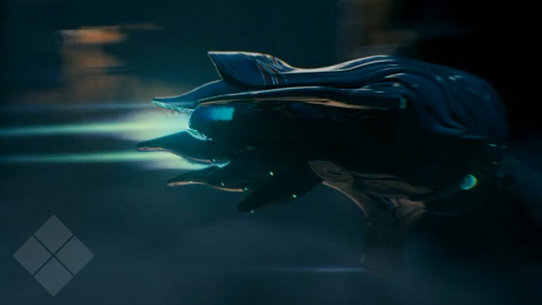 Q: How did the Ur-Didact survive the Halo Array firing? A: The Ur-Didact’s Cryptum served as both a prison and a sanctuary, locking him in a deep meditative state referred to as “xankara” while protecting him in a slipspace bubble and stasis containment as the Halo rings fired. Like a ship at sea remains oblivious to a tsunami passing beneath it, the Ur-Didact was undisturbed as Halo erased all sentient life in the galaxy. This week in Canon Fodder, we finish our chat with Halo: New Blood author Matt Forbeck, take a closer look at the cover of Halo: Hunters in the Dark, provide both new and updated entries in the Universe, and more. This week in Canon Fodder, we talk #HUNTtheTRUTH and chat some Universe housekeeping. 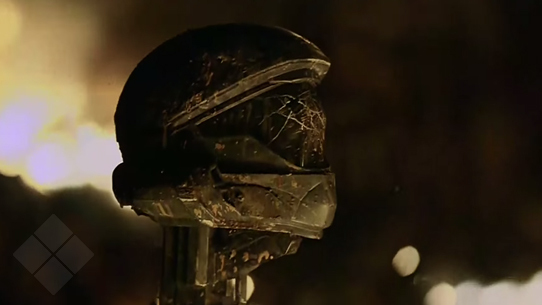 This week in Canon Fodder, we drop deeper into the fiction surrounding Halo 3: ODST.